Images of the divine have been spotted on inanimate objects since the beginning of the time. The Virgin Mary has been seen in the clouds, on trees and even on grilled cheese. And Christ Himself has been seen peering from a variety of food. But this? This is an appearance of a different kind. This is no Virgin Mary. 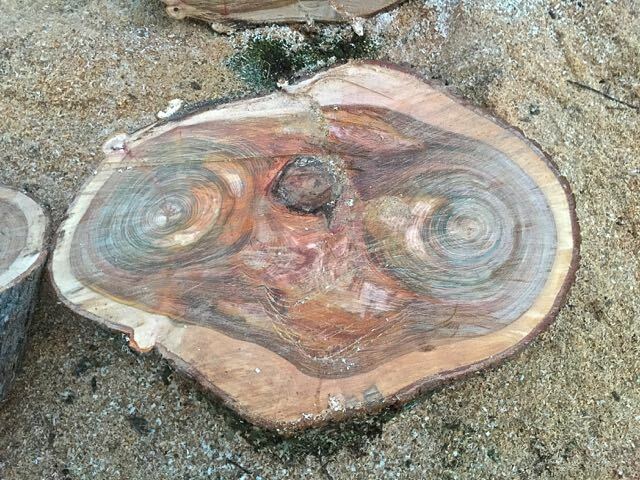 While doing what some humans do outside — chop wood for a fire — on the Isle of Skye off the Scottish coast, an inn keeper found the face of ET looking back at him from a log. And he named him E-Tree. Because what else would you name ET in a log? … And aliens who need to phone home, apparently. Strangely enough, the hotel’s website does not mention the encounter at all. But we bet if you go there and ask, you too can visit E-Tree. Maybe take some Reese’s Pieces with you just in case. Image courtesy of Houston PR.